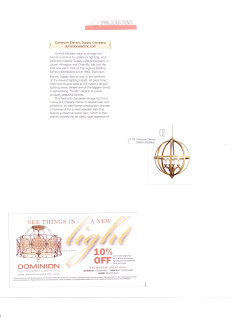 We were featured in last weekend's Washington Post Magazine's "Spring Design Trends" feature. 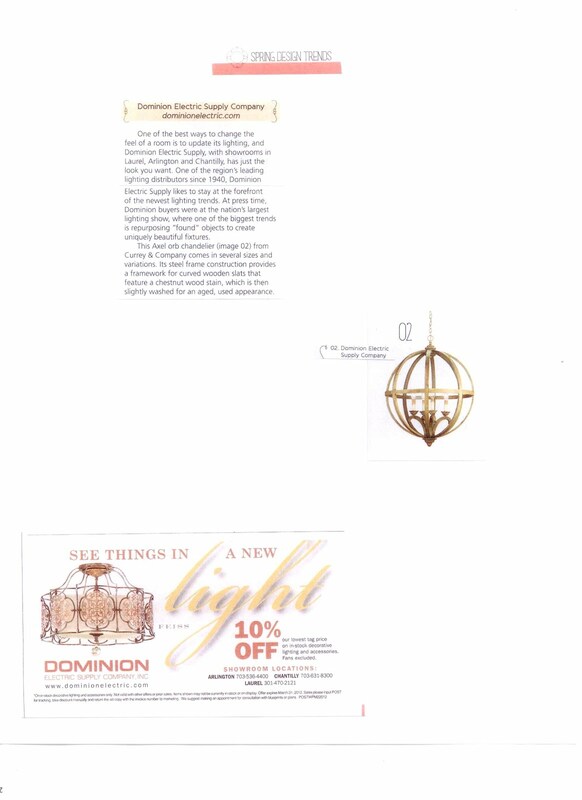 I made a collage of the blurb, the chandelier we featured, and our ad with coupon. 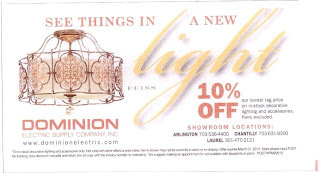 "One of the best ways to change the feel of a room is to update its lighting, and Dominion Electric Supply, with showrooms in Laurel, Arlington and Chantilly, has just the look you want. 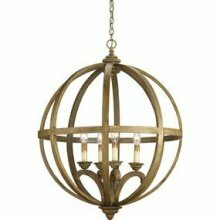 One of the region's leading lighting distributors since 1940, Dominion Electric Supply likes to stay at the forefront of the newest lighting trends. 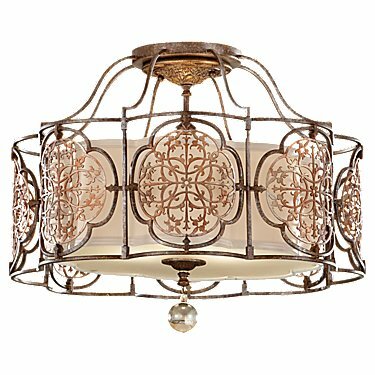 At press time, Dominion buyers were at the nation's largest lighting show, where one of the biggest trends is repurposing "found" objects to create uniquely beautiful fixtures. This Axel orb chandelier from Currey & Company comes in several sizes and variations. Its steel frame construction provides a framework for curved wooden slats that feature a chestnut wood stain, which is then slightly washed for an aged, used appearance." And here is that coupon ~ if you don't have last Sunday's magazine, feel free to print it from here and bring it in to redeem!